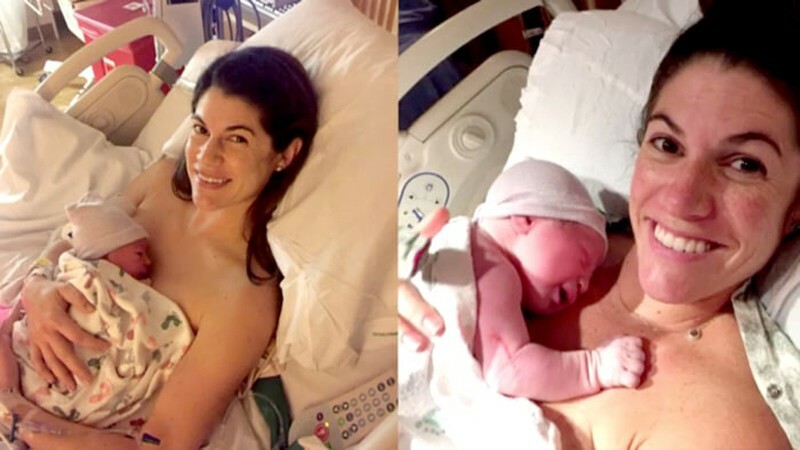 We’ve all heard amazing stories about the beautiful bond shared between twins, but news of US identical twin sisters giving birth to babies on the same day and at the very same time gave us goosebumps. 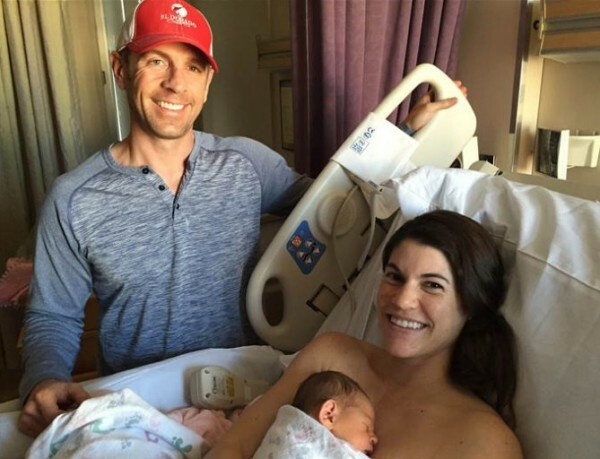 Sarah Mariuz and Leah Rodgers, 35, each welcomed their first child into the world on Thursday. And, time zones notwithstanding, both babies were delivered at 1.18am. Leah’s son Reid Joseph was born in Colorado, followed by Sarah’s daughter Samantha Lynne in California. The new mums told Today they were not really surprised by the birth coincidence given the parallels in their pregnancies that began the moment they both learned they were expecting. Both planned to break their big news during Thanksgiving celebrations, but Leah took one look at her sister and says she knew. “She showed up to my front door and I welcomed her and Nick [Sarah’s husband] inside,” Leah says. But Sarah didn’t confirm anything until her big sister – by 11 minutes – made her announcement. 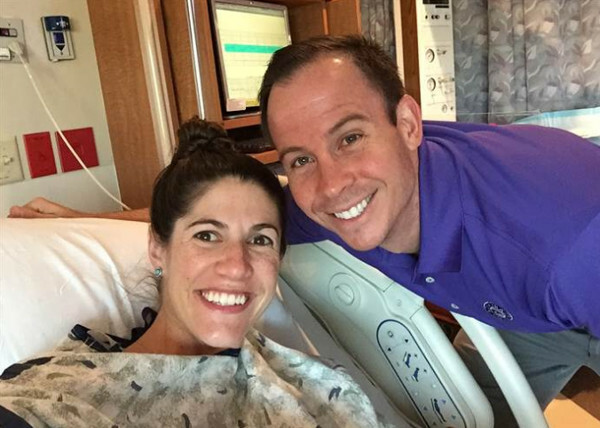 “I wanted Leah to have her moment of sharing her news, rather than me just saying, ‘me too! '” Sarah told Today. Realising their due dates were just four days apart, Sarah says she grabbed her ultrasound pic and put it alongside her sister’s. “We were jumping up and down, just so happy for each other,” Sarah says. Understandably many found it hard to believe when the sisters said they hadn’t planned to be pregnant together. 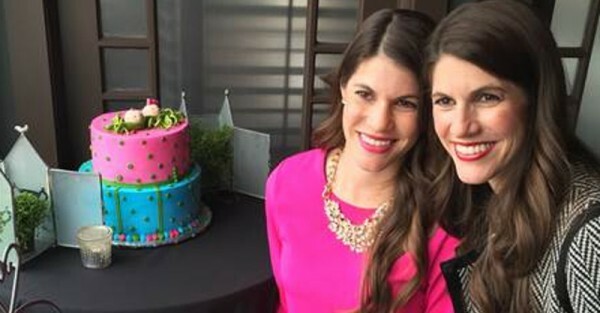 “We were at our older sister’s wedding recently, and, well, two pregnant chicks together, people couldn’t stop talking about this,” Leah says. The sister’s also find a twist of fate in the genders of their babies, with Leah, a self-professed tomboy, having a son and Sarah, who admits being the girlier twin, welcoming a daughter.